Ongoing Operations has carefully created our Business Continuity Centers to meet the unique needs of Credit Unions – whether your goal is to replicate real-time data to an off-site facility or co-locate equipment, we can provide a secure solution you can count on in any situation. Outsourcing your Credit Union data centers(backup and/or production) can also help your Credit Union increase efficiency by saving staff time and reducing overall expenses. What Are The Likely Outcomes? More secure, less expensive, and less headache than running your own data center. Saves most Credit Unions significant money. Why OGO? Our Data Centers are tied into a national foot print and have all the tools a Credit Union needs to meet regulatory compliance. Plus we are super nice and will buy you lunch from time to time. Click here if you just need the address: The Business Continuity Centers currently consist of approximately 80,000 square feet of workspace and data center space. The facilities are configured to accommodate over 750 Credit Union representatives. Ongoing Operations Business Continuity Centers are managed to the highest standards in the industry. Rack space at Ongoing Operations allows Credit Unions to co-locate equipment in a secure data center. Credit Unions design, configure and install racks of equipment at the Ongoing Operations facility. 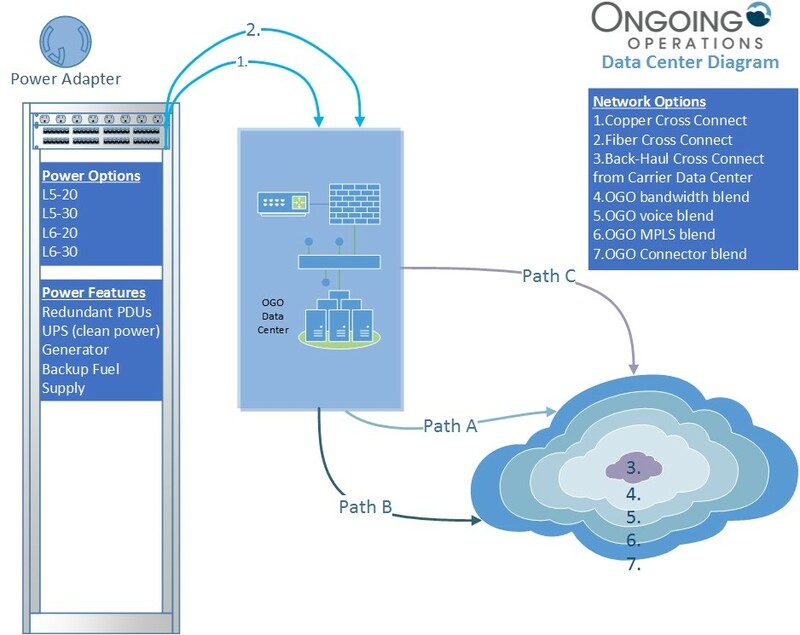 The equipment is then connected on a private VLAN that isolates the Credit Unions data while providing access to essential connectivity services.